The Japanese American National Museum has recently received three grants, totaling in excess of $515,000, to support two new projects that will culminate in summer 2020. Almost $488,000 was awarded by the National Park Service through its Japanese American Confinement Sites (JACS) program and another $30,000 was awarded by the California Civil Liberties Public Education Program. The money will support the development and implementation of a virtual and augmented reality exhibition about a Nisei soldier killed in action during World War II and another exhibition exploring the role of Boy Scouts and Girl Scouts in America’s concentration camps during the war. Stanley Hayami was a typical American teenager when he and his family were imprisoned against their will in the Heart Mountain concentration camp during World War II. While in camp, he kept a diary about his daily life and future aspirations. 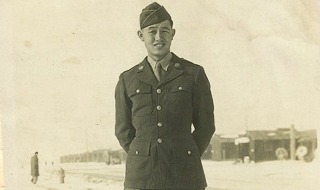 In 1944, Hayami was drafted into the U.S. Army’s legendary 442nd Regimental Combat Team and he continued to document his experience by writing letters to his family. At the age of 19, Hayami was killed in battle while trying to rescue a fellow soldier. Recovered by the Hayami family and donated to JANM’s permanent collection, Hayami’s diary and letters provide a highly personal view of camp through the eyes of a teenage boy. Filled with both thoughts and artwork, he reported regularly on his daily activities as well as his views on the incarceration, his account of the military draft, and the importance of serving his country. Through a JACS grant and the funding from the California Civil Liberties Program, JANM will create “The Stanley Hayami Diary: A Virtual Exploration of Camp Through the Eyes of a Teenage Boy” (working title). For this project, the museum will partner with Emblematic Group, one of the foremost virtual, augmented and mixed reality studios; with Densho, a nonprofit organization dedicated to preserving the testimonies of Japanese Americans who were unjustly incarcerated during the war; and with Asian American digital influencers from You Offend Me You Offend My Family (YOMYOMF). “On My Honor: Scouting in America’s Concentration Camps” will be a JANM exhibition using first-hand stories to present the role that scouting played in the Japanese American incarceration camps during World War II. Even before some schools were developed, elders believed that Boy Scout and Girl Scout troops and activities would be beneficial, keeping children occupied while building character and demonstrating their patriotism and loyalty. But despite the prevalence of scouting in all ten camps run by the War Relocation Authority, the stories of the troops and the individual scouts remain relatively untold. The second just-announced JACS grant will support research into the presence of scout troops in the camps, allow JANM to conduct videotaped interviews with those who participated in scouting while in camp, and ultimately present an exhibition that utilizes the moving images as well as photographs, letters, and other ephemera. A highlight of “On My Honor” will be story of one particularly unique friendship that was formed because of Boy Scouts during the war. 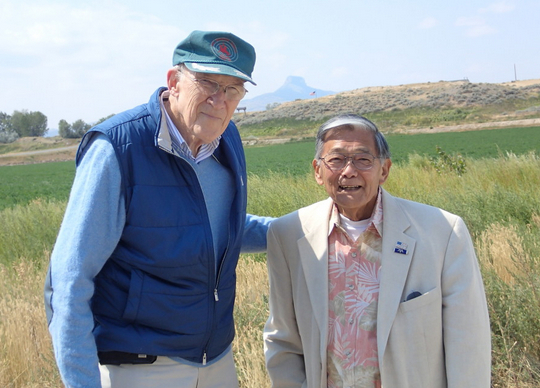 While imprisoned with his family at Heart Mountain, 11-year-old scout Norman Mineta met Alan Simpson, a local scout who visited the camp with his troop. The two became life-long friends and served in Congress together for many years — Mineta as a Democratic U.S. representative from California and Simpson as a Republican senator from Wyoming. “The Japanese American National Museum is honored to have been selected for these generous grants, which will allow us the opportunity to tell new stories and use engaging new technology,” said Ann Burroughs, president and CEO of JANM. “Our sincere gratitude goes to the California Civil Liberties Public Education Program and to the National Park Service, whose JACS grants have provided vital support to so many worthy organizations and projects over the years. That’s true again this year and I offer my congratulations to the other ten entities that were chosen for JACS support. Congress established the JACS grant program in 2006 and authorized a total of $38 million in funding. With the most recently announced round of funding, the current award total is more than $26 million. The grants are awarded to projects linked to the ten War Relocation Authority centers, which were established 1942, and more than 40 other confinement sites. The program’s mission is to preserve the history of and teach future generation about the World War II confinement of Japanese Americans. Projects are chosen through a competitive process. The California Civil Liberties Public Education Program is a state-funded grant project to sponsor public educational activities and development of education materials to ensure that the events surrounding the exclusion, forced removal, and incarceration of civilians and permanent resident aliens of Japanese ancestry will be remembered so that the causes and circumstance of this and similar events may be illuminated and understood. The program is administered by the California State Library. For more information on the museum, visit www.janm.org or call (213) 625-0414.